Ruby Rayo was selected as the final Superintendent's Award Winner for 2018. She is a model student with a sweet personality. She always exhibits respect and kindness to her peers and her teachers. 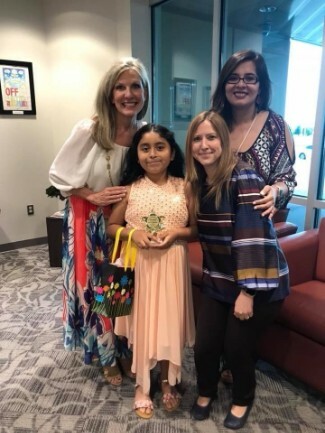 She is pictured here with her teacher Mrs. Cucalon and principals Mrs. Sublette and Mrs. Castillo. Congratulations Ruby!